You’ll need a serial code/product code/registration code (all the same) To install the game and the expansion packs or to register them on thesims3.com. The serial code can be found on the back of the manual or on a separate (white) sheet of paper within the box. Make sure to keep this in a safe place. You’ll need it for every installation. The serial code for the game has 20 letters (5 blocks with 4 letters). Most of the time, you’ll also find a 16 letters (4 blocks with 4 letters). This code is for the free limited edition and Origin exclusive store content. If the number doesn’t work for you (invalid serial code), make sure you don’t mix up 0 and O, 8 and B, O and D or 2 and Z. There are other letters that look similar. If you’re absolutely positive you typed it right and it still doesn’t work, contact Customer Support. If you bought your game on Ebay or from a seller in the Internet (especially if it was a lot cheaper), it’s also possible that the sale wasn’t legal. File a dispute to get your money back. It’s also not possible to register the same game twice. If you bought a used game, you can’t use the exchange, the forum or the Sims 3 Store. With the new version of Sims 3 (The Sims 3 refersh, The Sims 3 Starter Pack, ..) it’s probably not even possible to install the game since an Origin account is a must. What do to if you can’t find your manual anymore ? Where can you find your serial code ? Solution 1: The game is still installed on your computer. 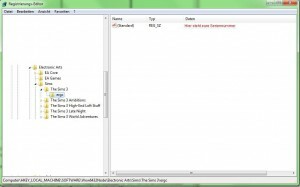 The serial code gets written to your registry on installing the game. You can find it there. Backup your current Registry (you should always do that when doing anything in the registery since it can completely mess up your computer if you do something wrong). To do so, click on File – Export. Choose a name for your backup and hit OK.
Click on that and your serial code can be seen on the right hand side. 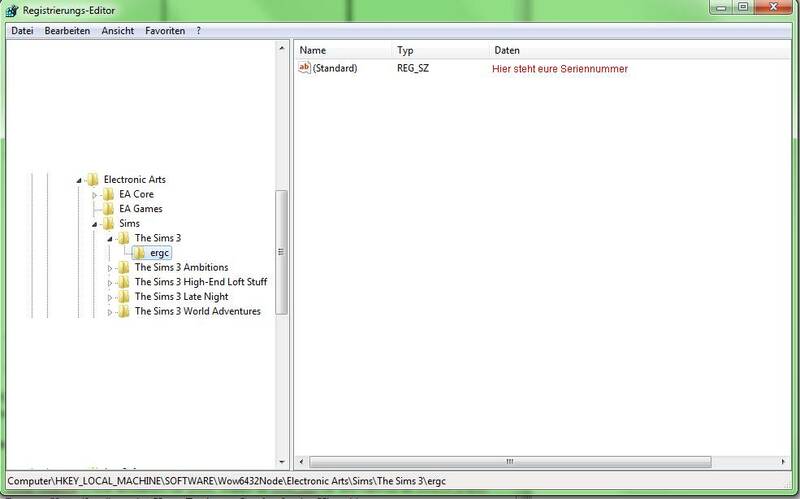 For Win 7 & Vista 64 Bit User: The folder ElectronicArts can be found under HKEY_LOCAL_MACHINE –> Software —> Wow6432Node. 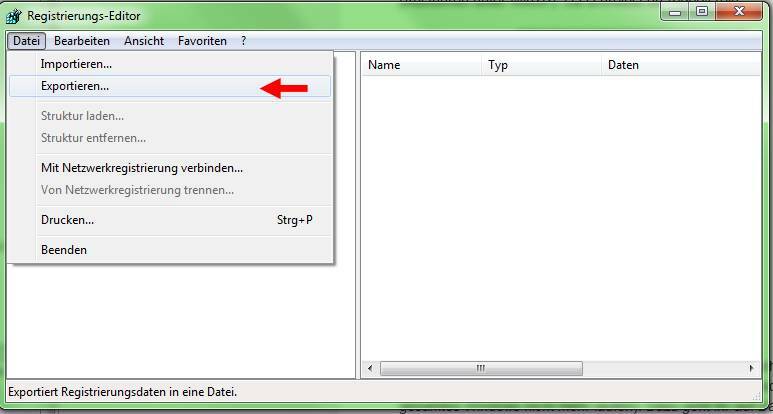 If you don’t want to search through the registery you can either use one of the following programs or use the method for the download version below. 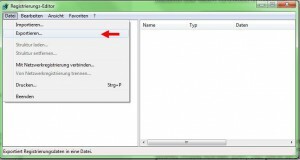 Recover Keys (Can be used for any kind of serial codes). 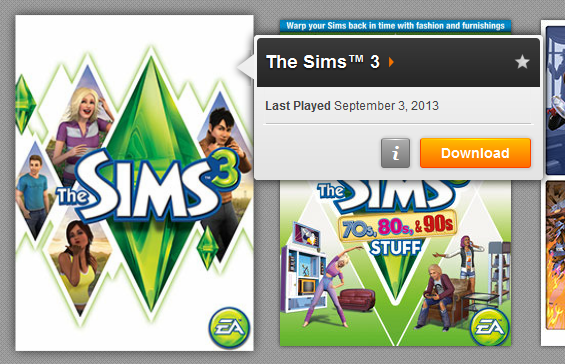 Solution 3: The game is not installed and not registered with EA. If you still have your receipt, you can try if EA is willing to give you a new code. Otherwise you’ll need to re-buy the game or get a new key for $10 through customer support. You’ll find your serial code on the Origin client. Click on the game and then in the button i. The product code is the code you need for installation. If it shows up empty, hit refresh on Origin or log out and back in. Codes for extra content for the limited edition or the Origin exclusive content are still being sent out via Email. If you did not get an email for those, please contact customer support.